I have spent the final day of my fall break prepping for Halloween week. 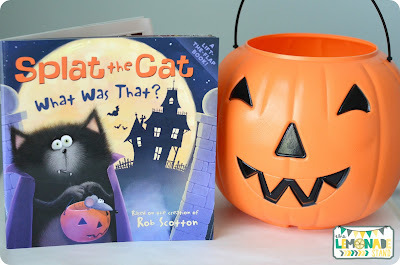 It was hard to narrow my plans down to my favorite Halloween books that I wanted to use next week. 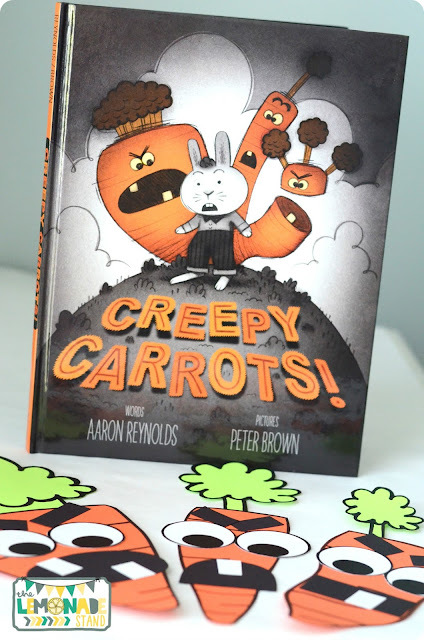 But it was very easy for me to decide to use Creepy Carrots by Aaron Reynolds. This book is so funny! 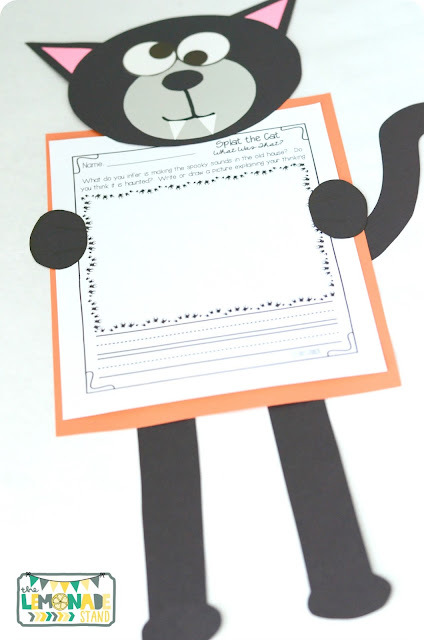 It's also great for making predictions, making inferences, and for drawing conclusions. 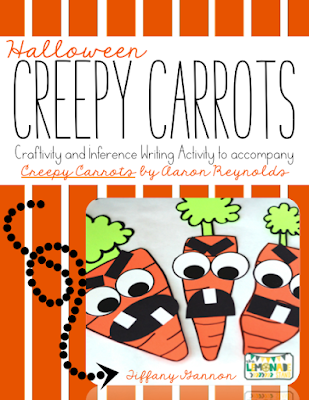 We are going to be making these fun little carrots this week to add to our writing about Creepy Carrots. I teach kindergarten now, so we will be focusing more a drawing a picture to explain our thinking and adding a simple sentence to match our picture. 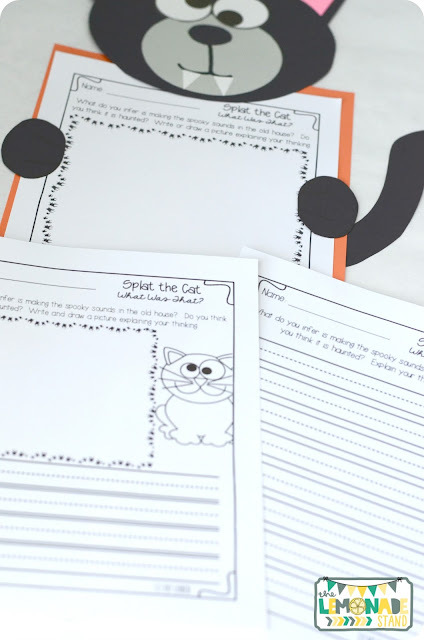 I differentiated the writing for you if you teach first or second grade. You could also differentiate the writing within your own classroom based on the needs of your students. 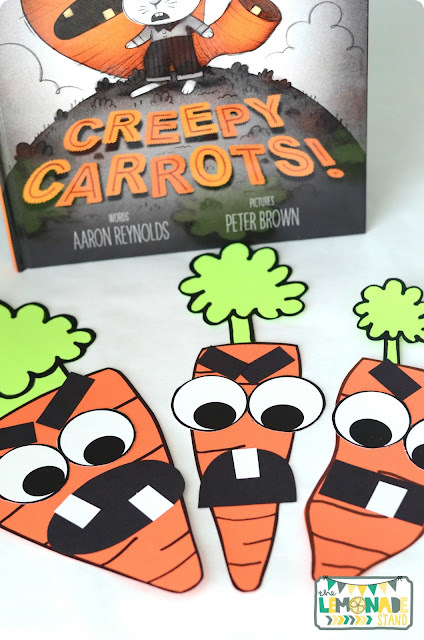 We will be making these three carrots from the story to attach to our writing. 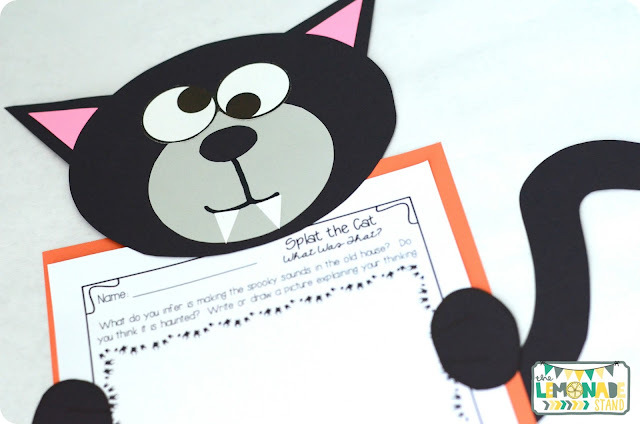 You can find the craftivity along with the differentiated writing component in the pack below. 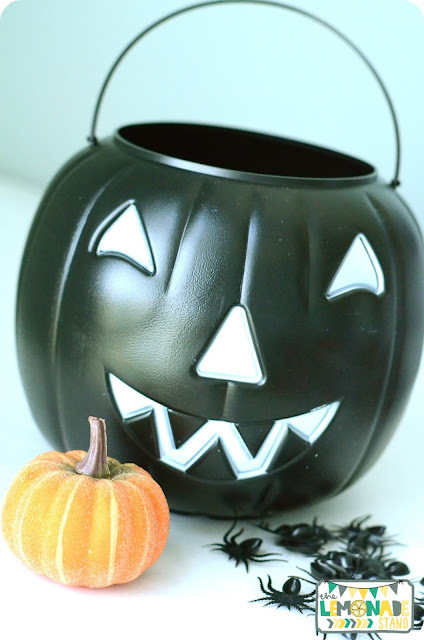 I bought these pumpkins at Target earlier this month and have used them for everything! 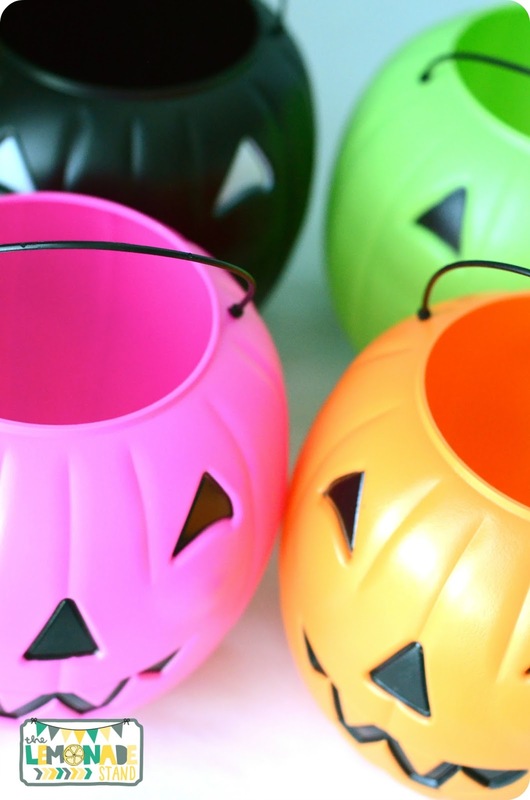 They are perfect for sorts and holding manipulatives for centers or group work. 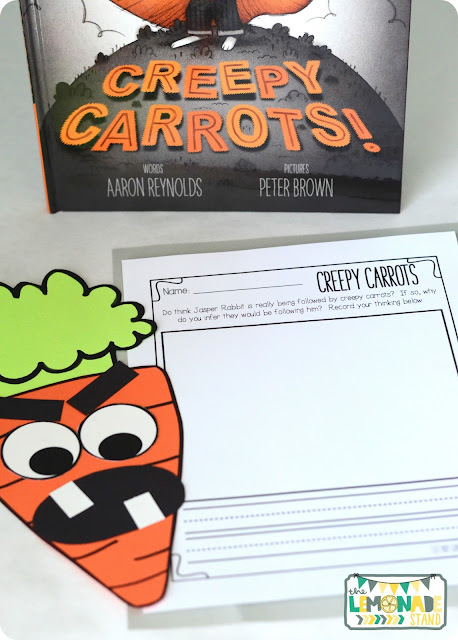 They are also perfect for this little inferencing activity. I hide an object, like this little mini pumpkin, in the larger pumpkin and don't tell the students what it is. I give them clues to help them infer what might be in the pumpkin. Based on the clues, they have to guess what is in the pumpkin. 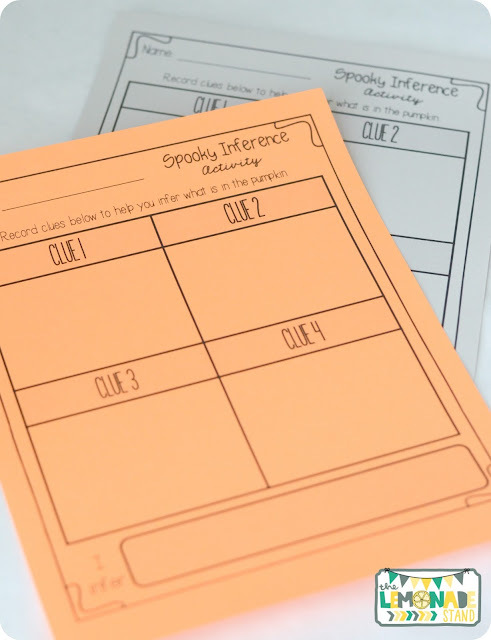 It's a great activity to start your lesson and to help them understand what skills are needed to make an inference. Students record the clues on their own recording sheet to help them remember what they all were when it's time to infer. Afterwards, we partner share our thinking. This leads into our next book, Splat the Cat What Was That? by Rob Scotton. Splat and Spike go to an old scary house trick or treating. They keep hearing spooky sounds, so I have students infer as to where they think the spooky sounds are coming from. Of course, the students think the house is haunted and they are coming from a ghost. But they are very surprised at the end as to what it really is! 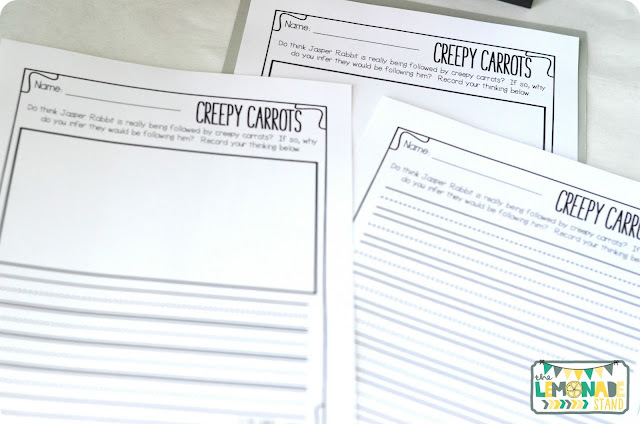 I have differentiated the writing for this activity, as well. 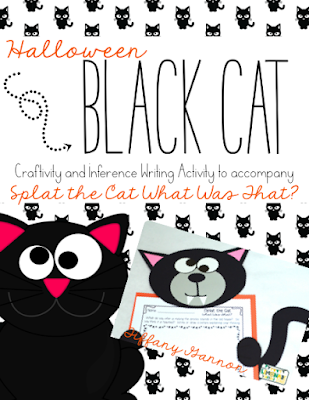 You can grab this along with the black cat craftivity and the pumpkin inferencing activity in the pack below. 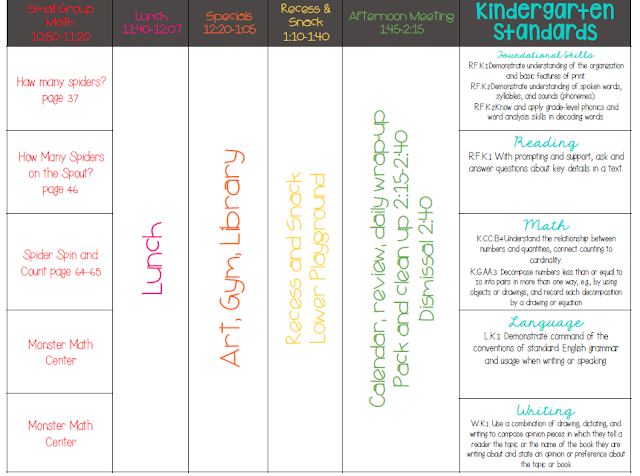 Here is a copy of my lesson plans for next week. 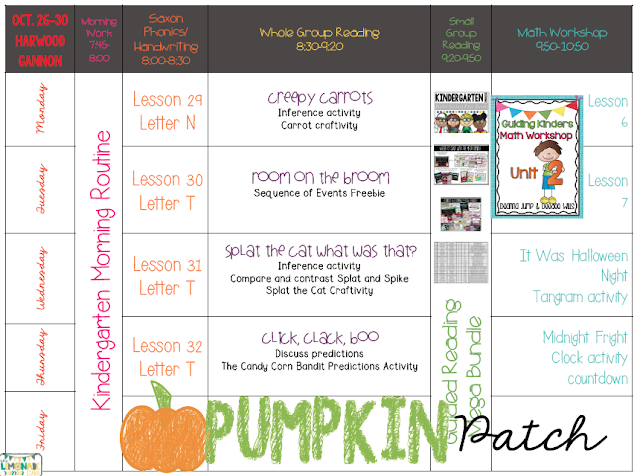 Friday, we are headed to the pumpkin patch! We have already done our pumpkin study, so this week we are doing more Halloween themed things. We are reviewing some comprehension concepts that we have already covered this week with our favorite books. 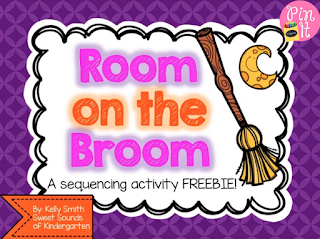 I found this great Room on the Broom sequencing activity HERE. 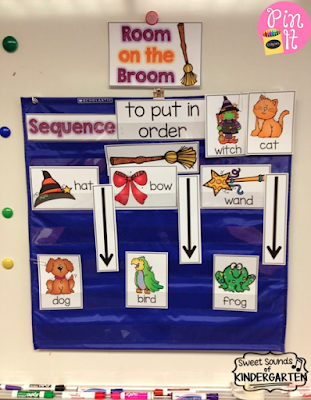 Thursday, we are reading Click, Clack, Boo to help with predictions. It is also going to be pajama day! 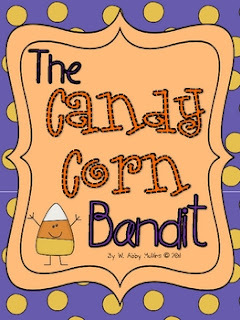 Then, we are doing the Candy Corn Bandit. You can check it out by clicking the pic below. 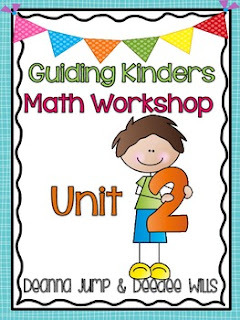 We are also moving right along with the Guiding Kinders Math Workshop. It's going to be a busy, but fun week! I hope you all have a great week, too!